Satoshi Nakajima UIEvolution Inc. / Veemob Inc.
Hiroshi Mikitani Chairman & Chief Executive Officer of Rakuten, Inc.
Takashi Kambayashi CEO of Nautilus Technologies, Inc.
Ryuji Tamagawa Sky Co., Ltd.
Masanori Fujisaki HEARTBEATS Corporation / Walti, Inc.
Haruka Iwao Red Hat K.K. Takao Shiono Executive Officer of Rakuten, Inc.
Shunsuke Hoshino Executive Officer of Rakuten, Inc.
Yosuke Hara w/Paras Patel Rakuten, Inc.
Robin M. E. Swezey Rakuten, Inc. The Rakuten Golden Twins Rakuten, Inc.
UIEvolution Inc. / Veemob Inc.
My favorite quote is "The best way to predict the future is to invent it." by Alan Kay. Instead, come up with a set of features you’d add to iPhone if you were in charge of the development of iPhone. Think what kind of impact you want to give to people’s lifestyle with your next product. Don’t follow the trend; create a new trend. 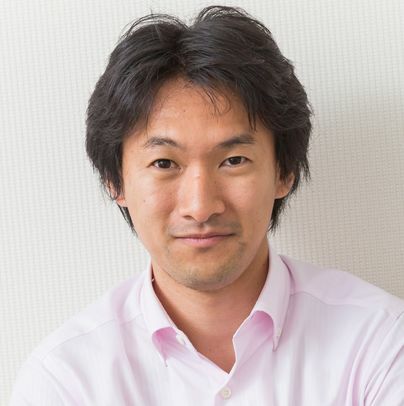 Satoshi Nakajima is a serial entrepreneur, whose career as a professional software engineer at ASCII corporation, where he developed the world first CAD program for personal computer, CANDY when he was 20. He was a software architect for Windows 95 and Internet Explorer 3.0/4.0. He is the founder of UIEvolution Inc. (2000), Big Canvas Inc. (2007), neu.Pen LLC (2009), and Veemob Inc. (2014). We will talk about the technology of OoODE, which might be interesting for the people who are working in the layer of basic software infrastructure. Under the hardware of the same number of CPU cores, the same amount of main memory and the same amount of Disk storage, OoODE succeeded to boost the performance of database operation around hundreds and thousands of times. Hitachi deployed our technologies in their RDB product.OoODE can improve the performance of RDB on Flash and Hive on Hadoop. Graduated and received a Dr. Eng. degree from Info. Eng. Course, Univ. of Tokyo Grad. School, 1983 Professor at Institute of Industrial Science, the University of Tokyo. Professor at Earth Observation Data Integration & Fusion Research Initiative, the University of Tokyo.Director General of National Institute of Informatics (2013-). Researcher of database engineering, and the main researcher of Funding Program for World-Leading Innovative R&D on Science and Technology:Development of the Fastest Database Engine for the Era of Very Large Database and Experiment and Evaluation of Strategic Social Services Enabled by the Database Engine. 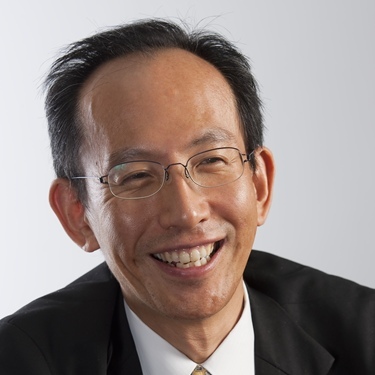 President of Information Processing Society of Japan(2013-). IPSJ Contribution Award, ACM SIGMOD E.F Codd Innovations Award, Medal with Purple Ribbon, IEICE Fellow, IPSJ Fellow, IEEE Fellow, and ACM Fellow. 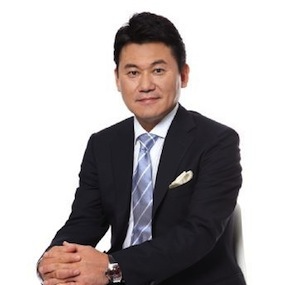 Chairman & Chief Executive Officer of Rakuten, Inc.
Hiroshi Mikitani is Chairman and Chief Executive Officer of Rakuten, Inc., Born in Kobe, Japan. Mikitani earned his undergraduate degree in commerce from Hitotsubashi University in 1988. After graduation, he joined the Industrial Bank of Japan (IBJ), Limited, now Mizuho Corporate Bank, and became an investment banker. While working at IBJ, Mikitani attended Harvard Business School and earned his MBA in 1993. In 1995, Mikitani left IBJ and founded Crimson Group the following year, a consulting company, and became its President and CEO. In February of 1997, he founded MDM, Inc. (now Rakuten, Inc.) and became its President and CEO. With only a handful of staff, Mikitani successfully launched the “Rakuten Ichiba” in May of the same year. In June 1999, MDM, Inc. changed its name to Rakuten, Inc. Since its launch in 2011, OpenStack has taken the world by storm with users across the world. Popular names such as GREE, Sony and NTT and now Rakuten - amoungst thousands more - have implemented the software to allow their processes to become more automated and agile. Submitting a support ticket, or waiting weeks for a server is now a thing of the past. This presentation will highlight the trends and discuss the unique way OpenStack is developed and how you can join the movement! After working on scalability in computing at international particle physics experiments like ATLAS at the Large Hadron Collider, Tom led the creation of a cloud designed for the publicly-funded research sector in Australia. It currently serves thousands of researchers directly, using many data centres over a broad geographical area. Following working as a cloud architecture consultant and team lead for several years, Tom is currently harnessing his passion for large scale distributed systems by focusing on their most important part: people. As Community Manager at the OpenStack Foundation it's his job to make the users and developers of OpenStack happy. 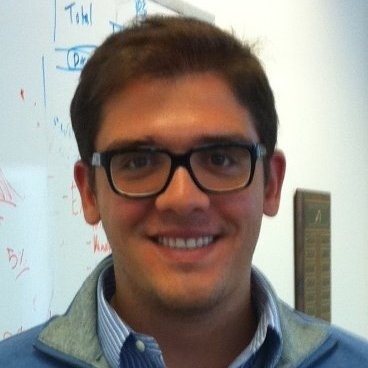 Roberto Carli is the VP of Business Development at Apptimize. Prior to Apptimize, Roberto was a Principal at Applied Predictive Technologies, where he consulted Fortune 500 companies on how to innovate through controlled experiments and was the author of new analytic techniques in online-to-store testing, control matching, and Monte Carlo simulations. Roberto holds a Master’s degree in CS from MIT, where he was part of Computer Science and Artificial Intelligence Lab (CSAIL). A native of Naples, Italy, Roberto has a deep passion for food and wine both of which he gets to exercise in his new home of San Francisco. Now more than ever the strength of your company relies on the out of work hours staff spend learning and collaborating, this is a brief overview on starting, running and improving a community group to expand knowledge and inter-company sharing. The pitfalls and how to avoid them and how to get other organisations involved so everybody wins. With less money for education in most company budgets, community events are often the fastest and most cost efficient way to learn and share. 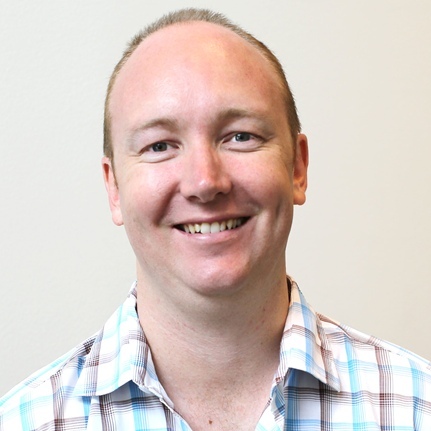 Patrick started in technology as a UNIX systems engineer, working the night shift alone in an operations center, to keep current with technologies he used he started attending the BSD Users Group in Sydney, and discuss technology with peers from other companies. He now works for Puppet Labs covering the entire Asian region as a technical engineer assisting with implementing Puppet Labs technologies, and still finds the time to organise or attend 8 or more community events every month to share, learn, network and of course, to improve himself. In this session, Yutaka Matsuo, a professor of university of Tokyo and world expert in information technology and artificial intelligence, and Takuya Kitagawa, an executive officer of data science in Rakuten, will discuss how data science will create innovations in the future. Topics will range from how big data/data science will change understanding of human beings such as economics and psychology, how countries should treat big data from growth strategy perspective, to what Prof.Matsuo would do if he can analyze anonymized data in Rakuten. 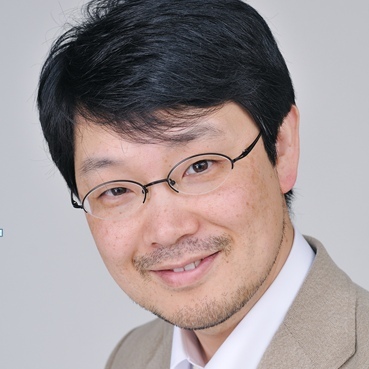 Yutaka Matsuo is an associate professor at Institute of Engineering Innovation, the University of Tokyo. His major is web mining (especially on social network mining), text processing, and semantic web in the context of artificial intelligence research. 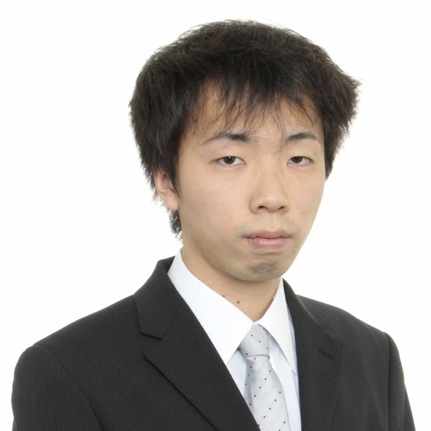 He is one of the prominent young researchers in the information technology field in Japan. He received the Japanese Society for Artificial Intelligence (JSAI) Best Paper Award in 2002, JSAI Anniversary Project Award in 2006, and Information Processing Society of Japan (IPSJ) Nagao Special Researcher Award in 2008. He joined the editorial committee of JSAI since 2004, and currently serves as associate editor-in-chief. He got Japan Society for the Promotion of Science (JSPS) Postdoctoral Fellowships for Research Abroad in 2005 and stayed for two years at Center for the Study of Language and Information (CSLI), Stanford University. After coming back to Japan, he joined the faculty of the University of Tokyo in 2007. He is a PC member of several conferences and workshops. CEO of Nautilus Technologies, Inc. Currently, a focus in distributed environment issues with Hadoop and related other products is “transaction processing”. This session is to address whether or not this is the realistic based on the technical issues, and also to address what effects on the IT of the current Japan enterprises. Takashi Kambayashi brought his passion for business to Kasumi Co., Ltd., a leading grocery retailer, in 1998. After establishing himself professionally, he joined UL Systems, Inc. in October 2002 as a board member. This led him to Nautilus Technologies, Inc. in October 2011 where he filled the position of representative vice president. Kambayashi-San has been CEO of Nautilus since April 2012. 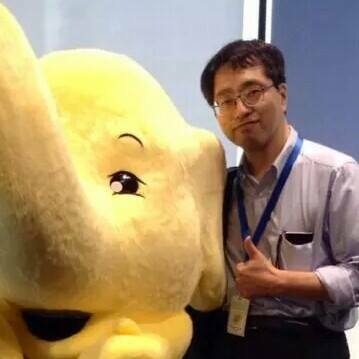 As lead architect, he has currently been developing the “Asakusa Framework” which aims to improve enterprise-level batch systems using “Hadoop”, a major open source distributed computation framework. Always on the forefront of new ideas, he is working on creating an OSS business enterprise market. This is unique in Japan as Nautilus prides itself on focusing on a direct sales model without using subcontractors. Founder of Misfit, makers of award-winning wearable and smart home products, including Shine and Flash, elegant activity and sleep monitors. Founder of AgaMatrix, makers of the world's first iPhone-connected hardware medical device, and 15+ other FDA-cleared products. Previously: Microsoft Research (machine learning / linguistic tech), UIUC (math BS), MIT (linguistics PhD w/ Noam Chomsky). Knows some interesting languages and is a patron of good design. Longing to make 10x solutions for big problems. I have been working on Ruby for last 20 years. Very few open source projects last that long. In this talk, I will talk about the lessons I have learned from these years of experience as the creator of the language and the leader of the community. The talk will cover carrer strategy, open source movement and the new style of software development in 21st century, among other topics. 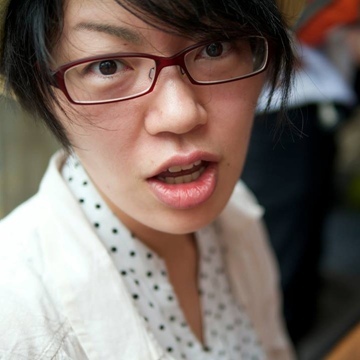 Yukihiro "Matz" Matsumoto is a programmer, and the creator of the Ruby language. He started development of Ruby in 1993, so it's actually as old as Java. 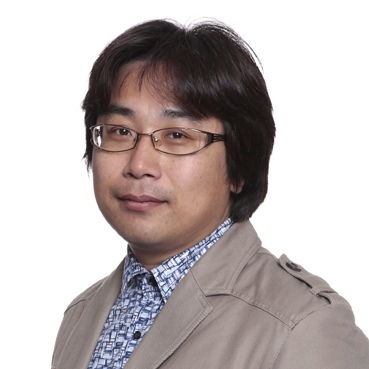 Now he works as a fellow of Network Applied Communication Laboratory Inc. (NaCl, also known as netlab.jp) which has sponsored Ruby development since 1997, and Rakuten Institute of Technology. He also serves as a chairman at Ruby Association, non-profit organization for supporting Ruby. Since his real name is too long to remember and is difficult for non-Japanese speakers to pronounce right, he uses the nickname Matz on the Net. Docker is an open-source engine that allows users to build, ship, and run Linux Containers. Linux Containers are a lightweight form of virtualization that provides some advantages over traditional Virtual Machines with the same portability and repeatability guarantees. But how do you run them in production? In this talk Nathan LeClaire, a Solutions Engineer at Docker, Inc., will teach you the details of running Docker in production systems. Topics covered will include service discovery, orchestration, image distribution, and more. Nathan LeClaire is a Solutions Engineeer at Docker, Inc. He is originally from Louisville, Kentucky. He started programming in the early 2000's on a TI-83+ calculator and never looked back. Biologically inspired computing and distributed systems have always been of intense interest to him, but he keeps getting distracted writing web applications and essays. 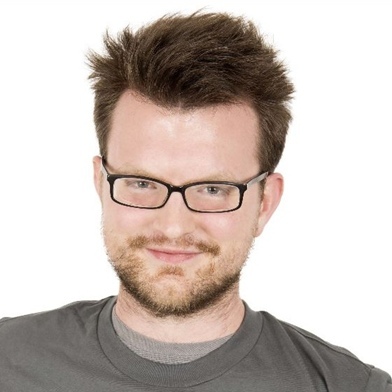 In joining the Docker team he brings his unique fusion of OSS enthusiasm, code, and culture. Always up for a good joke, Nathan also enjoys live music and the copious amounts of avocado available in California. This talk will cover the changes of the last 6-7 years in development and IT that have driven the requirement for changing the behavior of IT organizations. No longer is it acceptable to provide long lead times in IT operations (and development). In addition, I will talk about what the very essence of DevOps is (to me), and movements within DevOps that can help change the behavior of IT organizations. Michael Ducy (@mfdii) currently works as an Global Evangelist for Chef focusing on helping companies understand Chef, DevOps, and IT transformation. Previously, Michael focused on designing and implementing automation solutions for customer's Cloud, IT Automation, and Continuous Delivery needs. 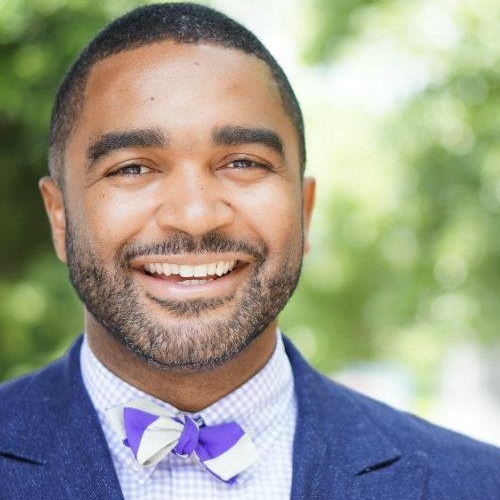 Michael has also worked in a variety of roles in his career including Cloud Architecture, Systems Engineering , Performance Engineering, and IT Instructor. Automated unit testing is one of the most popular tools of agile development. While unit tests made sense in the days when a testable unit (a function) was derived from a requirement, they don't make sense in an agile OO world. Yet we continue to use them, partly out of habit, and partly because they're easy and simply because we can, rather than because we should. Many unit tests have no business value and quite a few actually have negative business value. Automation removes the human from the loop; even Toyota is replacing its robots with people to restore learning to the work cell. Instead of unit tests, great products apply the same principles to defensive programming: effectively deliver the tests with the code. 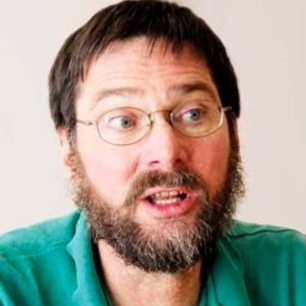 Jim ("Cope") Coplien is an old C++ shark who now integrates the technological and human sides of the software business as an author, coach, trainer, and executive consultant. He is one of the founders of the software pattern discipline, and his organizational patterns work is one of the foundations of both Scrum and XP. 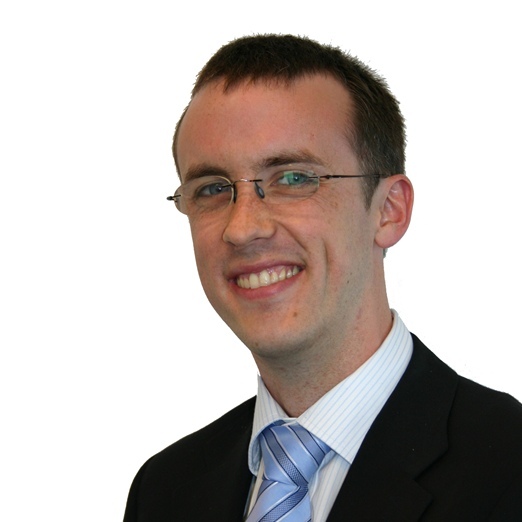 He currently works for Gertrud & Cope, is based in Denmark, and is a partner in the Scrum, Inc. He has authored or co-authored many books, including the Wiley title, Lean Architecture for Agile Software Development. When he grows up, he wants to be an anthropologist. Today, Selenium is the de-fact standard tool for web application testing. But sometimes you would be confused if you look for information about Selenium. This is caused by revolutional and fast change that had happened between Selenium 1 and 2. This session is focused on Selenium 2 WebDriver, providing Its overview and demonstrations. 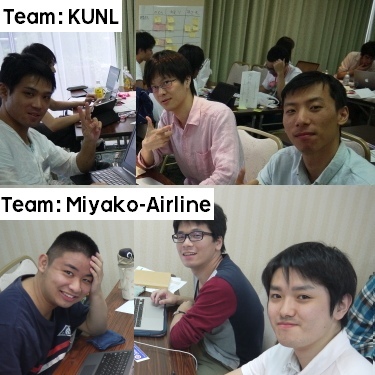 Our recruitment section held an Onsen Hackathon (温泉ハッカソン) at Hakone on August 31st to September 1st. Gra-Navi visually displays Rakuten Travel's map using animations so users can compare hotels and navigate through a location map on a single view. HEARTBEATS Corporation / Walti, Inc. When you develop a new web site or web system, do you check your security settings for it? Generally, we will check it only near release schedule. It's so good, but it's not best. Recently, we are only using some CI Tools for application tests and deployments. But, I think that we must always do security checking which is as a part of Continuous Integration. Therefore we will get knowledge and knowhow of OSS Security Check Tools and Communities as one of the way to do that. So, I introduce you to several kinds of OSS for security checking and our new SaaS, Walti.io. After running own private business for two years, I founded HEARTBEATS Corporation in 2005 while studying at university, taking the position of founder and CEO. Worked as an infrastructure engineer for a variety of web systems. Established new company, Walti, Inc. in July 2014, taking the position of founder and CEO. Graduated from the University of Electro-Communications. - Solution Architect on Serverworks Co., Ltd. 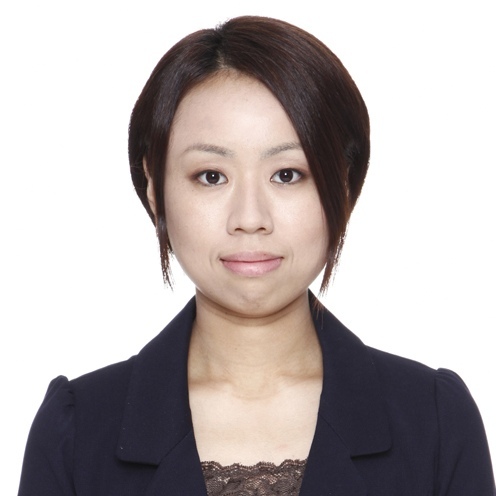 Storage Solution Architect, Haruka Iwao (@Yuryu) works as a storage solution architect to advocate software defined storage at Red Hat, namely GlusterFS and Ceph, both of which aim to be a multiple-petabyte scale storage. She also has an experience in running large scale web infrastructure at a social gaming company and a web advertisement company. Software engineer. Co-founded Crocos, Inc on February 2011, merged by Yahoo JAPAN Corporation on August 2012. She is currently working on Social Marketing Unit in Yahoo! JAPAN. 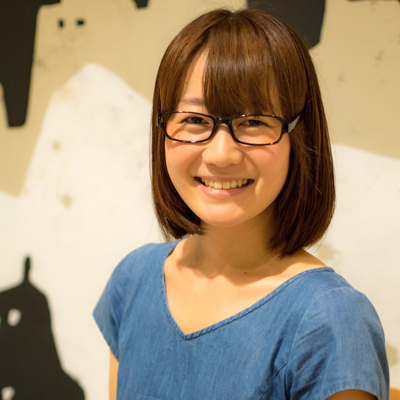 She is a member of the JAPAN PHP Users Group and an organizer of PHP Conference 2014 in JAPAN. Executive Officer of Rakuten, Inc.
2004 Joined Rakuten as a Producer. 2005-2009 Business Unit, QA manager, Marketing Dept, CWD dept etc. 2009 Joined Ichiba Service Development. 2011 Executive Officer of Rakuten. 2014 Dept Mgr of Ichiba Service Development. History of Rakuten Travel and current challenges and the future plan for Rakuten Travel Development. Rakuten Travel was started from 1996 with only 2 servers and few developers. Today Rakuten Travel have more than 500 servers and more than 100 developers. Rakuten Travel is now changing the architecture and process to speed up the service improvement. Executive Officer and Head of Travel Development and Open Services Platform. 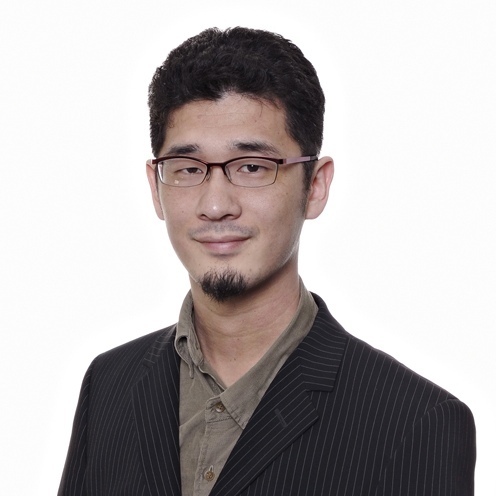 He joined Rakuten as a First PHP developer to be hire in 2003. He became Development manager in 2006. He went to New York at 2009 to be VP of Technology for Linkshare to lead the development. After 4 years in States he came back to Japan on 2013 to be responsible for Rakuten Affiliate and API Platform services. Also started to be Head of Travel Development from 2013 September. Executive Officer of data science in Rakuten. Before Rakuten, he was a theoretical physicist in condensed matter physics where he pioneered the field of non-equilibrium quantum physics especially with ultracold atoms and topological insulators. He has published more than 20 papers in international journals including Science and Nature Physics. The Viber service allows sending billions of messages and talking minutes with sub-second latencies to hundreds of millions of users. This talk will dive into the evolution of the back-end database architecture that makes this work. Amir has been working with Viber almost from the start of the company as a Senior Solutions Architect providing back-end solutions to the fast growing service. Constantly searching for creative solutions to cope with extreme growth and blazing speeds. The Creative & Web Design Department has recently started the "Rakuten Front-end Framework" project in order to improve contents' quality and productivity using cutting-edge front-end technologies. As a main part of the framework, our department has built a front-end development tool based on various open-source libraries such as Yeoman, Grunt, Bower, etc. In this session, we will talk about the project's overview, philosophy and development approach taken. Tsutomu Ogasawara is the leader of the Front-end Technology Team in the Creative and Web Design Department. 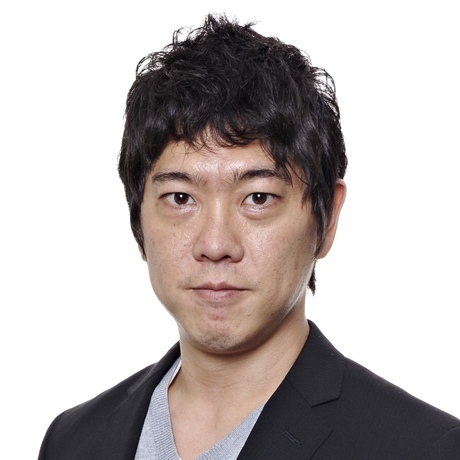 Since joining Rakuten in 2012, he has led the HTML5 Project aimed to promote HTML5 related technologies throughout Rakuten and developed experimental and production websites and applications such as the Technology Conference site (this site). 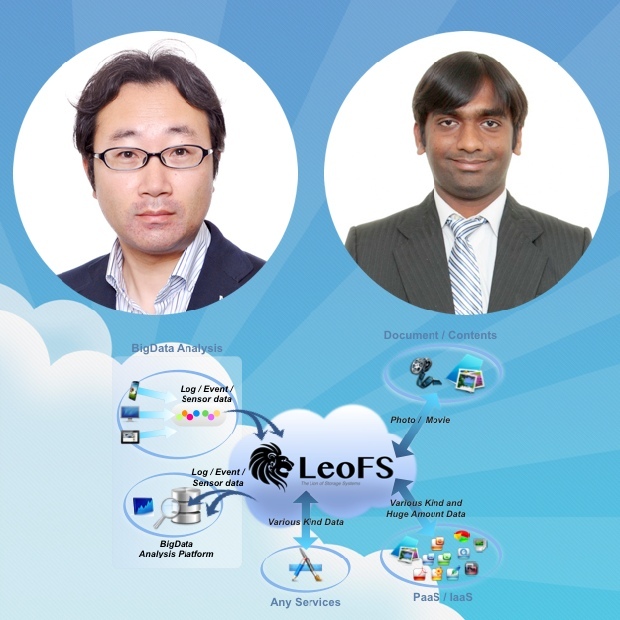 Since February, he has led the Rakuten Front-end Framework Project. He will explain about the background and future plan of the framework in this session. 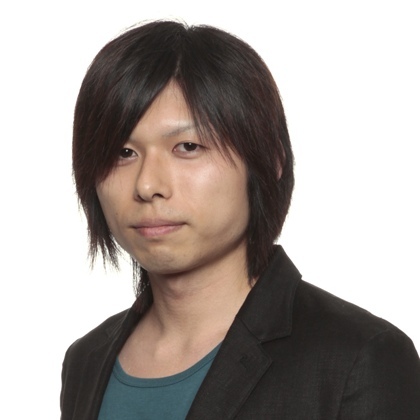 Hiroyuki Tanjo is a front-end engineer in Rakuten's Creative & Web Design Department. Since joining Rakuten in 2009, he has designed and developed many Rakuten services. In recent years, he was engaged in the Global Rakuten Ichiba project. He currently finds himself working on the Rakuten Front-end Framework as a lead architect / developer. During this session, he will expand details on the framework's architecture. In Kobo's Big Data team, we face many of the typical challenges associated with using big data and analytics for an e-commerce business. These include providing users with intelligent search capabilities and high-quality product recommendations as well as monitoring user engagement and purchase analytics across various platforms. In addition, there are aspects of our algorithms and research projects that are unique to the e-pubs and e-readers business: the ability to automatically analyze e-pubs textual content, insights into people's reading habits, and more. In this talk I will discuss some of the more specialized research projects done in the group. 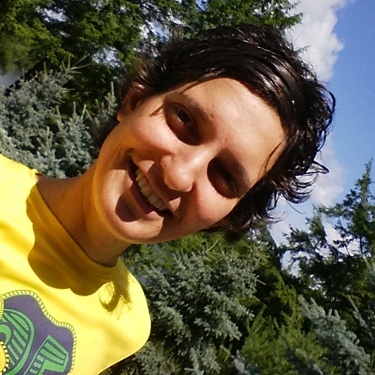 Inmar Givoni holds a PhD in computer science from the University of Toronto, Canada. She received her BSc in computer science and computational biology from the Hebrew University in Jerusalem, Israel. Prior to working at Kobo, Inmar developed machine learning algorithms for e-commerce applications at Microsoft Research’s Search Labs, computer vision algorithms for the Kinect system, and FPGA place and route optimization algorithms at Altera. In February 2013, Inmar joined Kobo as a Senior Research Scientist in the Big Data team, working on content analysis and web optimization. She has been leading the Big Data team since June 2014. Inmar is the author of numerous publications and patents, including 6 pending Kobo patents. In April 2014, Rakuten introduced OpenStack on top of private cloud infrastructure. This session will focus on how and why we came to use OpenStack. We'll provide actual technical challenges we faced in its development, operation and unveil our design and infrastructure vision for the future. 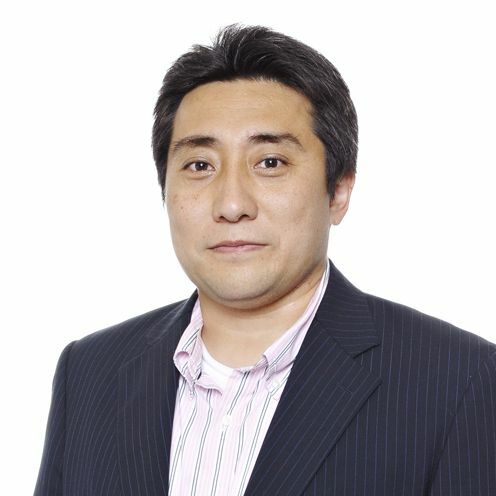 Kentaro Sasaki is in charge of Rakuten's Storage Infrastructure. 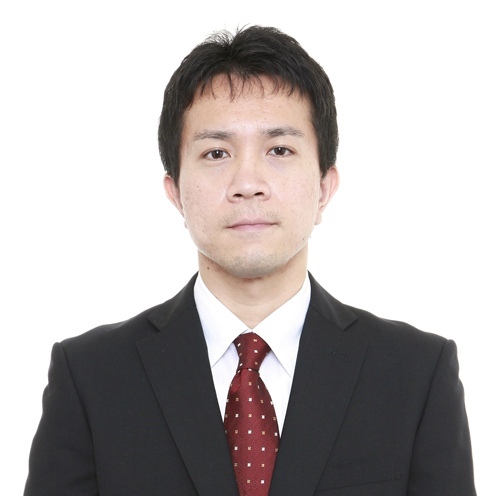 He joined in Rakuten on April 2010 and he is currently working on distributed storage and OpenStack technologies for the next generation Rakuten cloud platform. 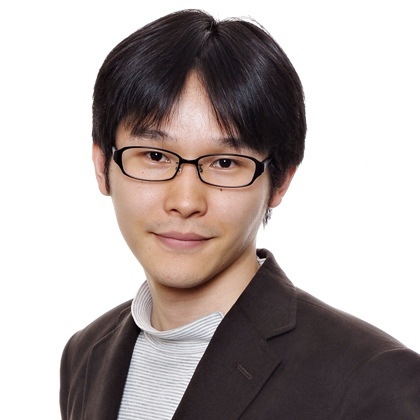 Koichi Yoshigoe is in charge of Rakuten Cloud Infrastructure (RIaaS) at Rakuten. 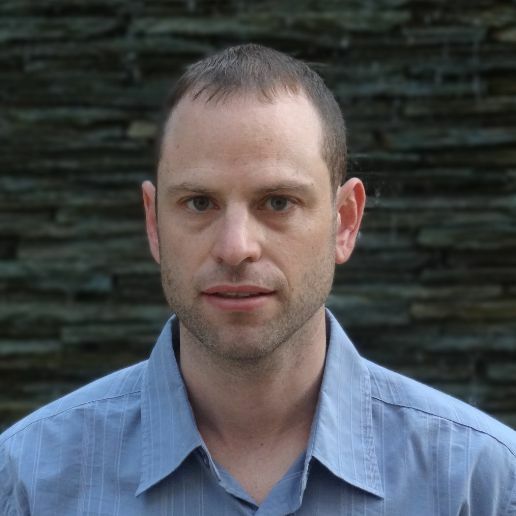 He joined the company on April 2012 and he is actively working with, and contributing to the OpenStack project. 5. Pursuit of Service High-Availability. 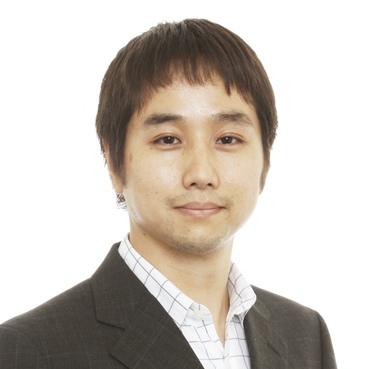 Euncheol Kweon joined Rakuten in 2007 as an application engineer and during several years has been in charge of the Rakuten Ichiba Japan API development as well as the WebLogic and Coherence systems’ architecture. In 2012, he introduced Jennifer, an application monitoring system. In this session we'll cover how we are currently migrating Japan Ichiba Services from the legacy system to Oracle ExaLogic as well as how we manage its operation and architecture. 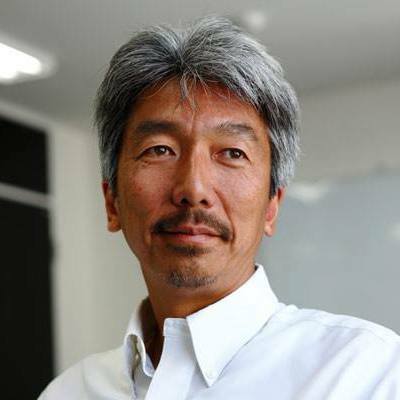 Ryu Watanabe joined Rakuten in 2009 as an application engineer, since then he has been in charge of Oracle Exalogic evangelization as well as the development and management of OZ, a scratch-build application management tool. Egison is the programming language that realized non-linear pattern-matching against unfree data types. We can directly represent pattern-matching against a wide range of data types such as lists, multisets, sets, trees and graphs. Egison makes programming dramatically simple! Satoshi Egi is the creator of the Egison programming language. 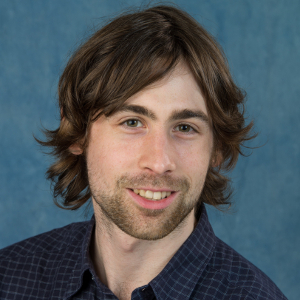 His research interests include theoretical computer science (especially programming languages). He received B.S. degree of Science in 2010, and M.S. degree of Computer Science in 2012 from the University of Tokyo. He joined Rakuten Inc., in 2013 and has been working at Rakuten Institute of Technology as a member of Power Domain Group. 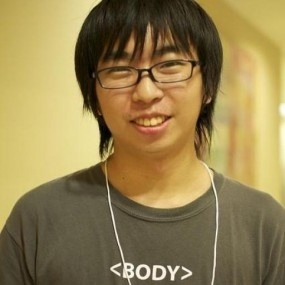 He received a "Super Creator" award by the Information-Technology Promotion Agency of Japan in 2011 for his work on the Egison programming language. The NewDB Project has been launched by Yosuke on this April. We aim to realize analyzing Data in Realtime and retrieving "Value" in exponential data. He will introduce overview and plan of NewDB. 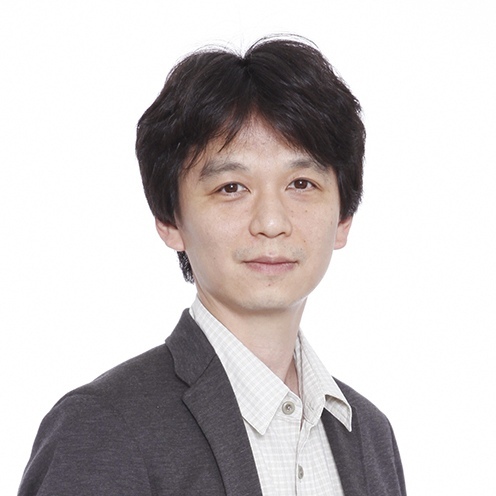 Yosuke Hara is a lead technologist who has been heavily involved in the development of [LeoFS]and NewDB at Rakuten Institute of Technology. His particular interests are the R&D of cloud computing technologies such as distributed computing, distributed database and storage. Paras Patel is working as Engineer at Rakuten Inc. (DU – Global Operation Department) Actively involved in the open Source project development and support for [LeoFS] and ROMA. His interest area is distributed storage, network and cloud security. He has completed master’s from Mumbai University(India). Currently developing Dropbox like cloud storage for Rakuten Internal use, which is called R-Drive. 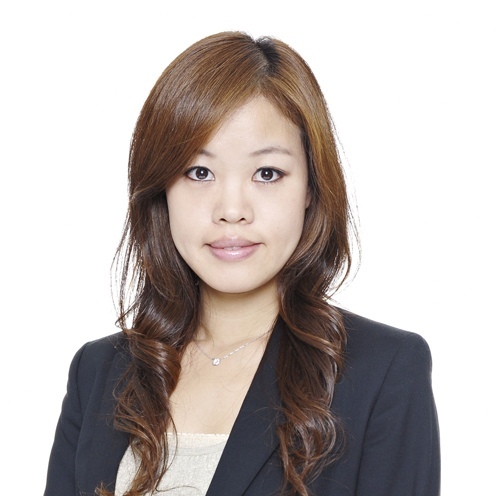 Seunghee Lee joined Rakuten in May 2008 as a Middle Carrier. - Developing JAVA web application and so on. Customers use so many computers and portable devices that they now expect always more from the services they get in physical stores. The convergence between e-commerce and traditional retail is already a reality for them, who combine several ways of buying and getting information about products. They go online from home and from stores to compare prices, features, and to order products without waiting in line for payment. They go to real stores to have a physical perception of the products and to avoid waiting for a delivery. We could help them combining the benefits of the different ways of shopping and many technologies and business models are emerging in this domain but no one knows exactly for the moment how use them with success. 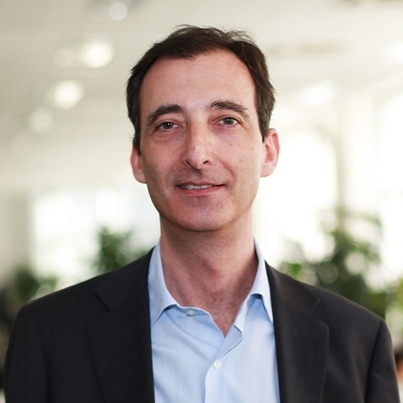 Laurent Ach is manager of Rakuten Institute of Technology Paris. He has led or contributed to many collaborative research projects and always tried to make research organizations and companies work together and create innovations from scientific results. He started his career as an engineer in Thales Group where he worked on artificial intelligence, computer graphics, and virtual humans. He later joined a start-up company developing a 3D streaming technology. He was responsible in Safran Group for organizing new collaborative processes in the domain of mobile telephony. Before joining Rakuten in 2013, he was CTO of Cantoche, a company creating avatars and virtual assistants. Head of Product Manager of Rakuten Travel. He joined Rakuten last year for the current position. He used to work for Microsoft and be in charge of program manager lead of Windows. Plug and play, Devices&Printers, Devices protocol definition such as USB, Bluetooth, DVD-R/RW,etc and Windows 8 UX for PC settings and charm are his deliverables during that time. He is managing product management team in Rakuten travel. + presentation video of "Japan ICHIBA Daily Work"
A data scientist at Rakuten Institute of Technology, he is addicted to data and loves models. Robin enjoys discovering insights that he can leverage through applied statistics, predictive modeling and machine learning. He's also a lifelong learner and likes spending his time on MOOCs. He obtained his doctoral degree in computer science from Nagoya Institute of Technology in 2013. 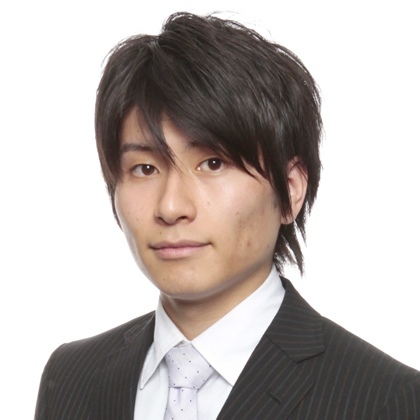 Takahiro Yamaki joined Rakuten in 2012 as an application engineer. 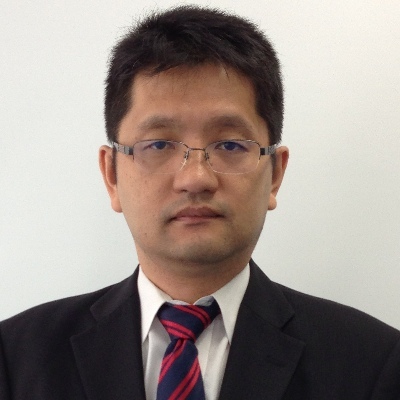 He currently works as an productivity engineer for the Japan RMS Group. He drives the Japan RMS Group Ci-nizaion. By now Rakuten has released more than 100 mobile applications and in order to support them we have built a back-end system that is called "Rakuten BaaS" (Backend as a Service). In this session you will learn about this mobile-specific back-end as well as its APIs in two use-cases. The first is about "ROOM" a brand new content curation service. The second one is about Rakuten Kobo, Rakuten's e-reader device and platform. 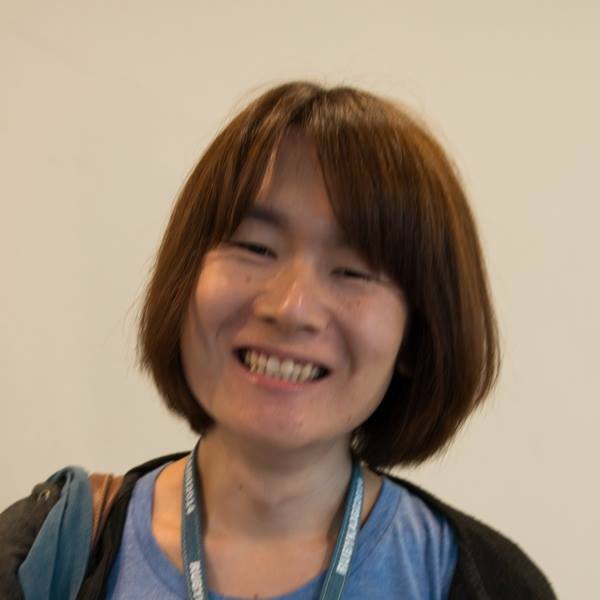 Shogo Kawahara: Shogo Kawahara joined Rakuten in 2011 and currently works as an API and mobile application developer for the Web Service Platform Group. He has been involved in introducing Rakuten Web Service for 3rd party developers as well as in the development of BaaS (Backend as a Service) for smart and rapid device application development. 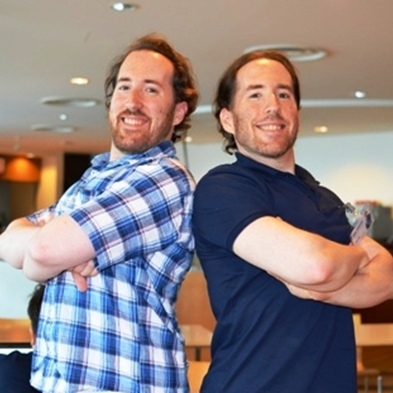 The Rakuten Golden Twins are known for their energetic and entertaining presentations at the Asakai morning meeting. They are looking forward to taking their magic to the Rakuten Tech Conference this year and attendees are surely in for a treat! Richard Golden is a .NET Web Application Engineer who works with Rakuten eBooks and Kobo. Born in Philadelphia and raised in southern New Jersey, he came to Japan 11 years ago as an English teacher. He then joined a small technology company where he developed a cloud based virtual tour creation system for realtors before finding his way to Rakuten. His hobbies include nutrition and working out and can often be found at the Rakuten Fitness Center with his twin brother Alex in the mornings before work. Alexander Golden is the lead engineer of the ROOM service. He came to Japan as an English teacher over 10 years ago. He worked as a contract worker at various large companies throughout Tokyo before becoming a regular employee at Rakuten. He enjoys programming, exercising, and spending time with his family. As Rakuten Ichiba is becoming available in more and more countries, building a truly global platform is a difficult challenge. This session will cover some of the challenges to move from a system serving only Japanese customers to several systems in multiple countries and how we unify them. These integration projects are complex as they address much more than only technical tasks. How can we build a single system that fulfills our business needs and our CEO's vision? 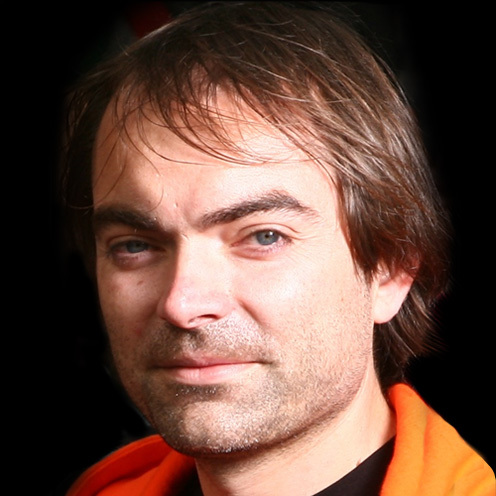 Olivier Claquin joined Rakuten in 2013 as part of the E-commerce Architecture group. His background is systems integration and Service Oriented Architecture development. In his previous life he worked as a consultant in several companies in three different countries: France, Australia and Japan. Before joining Rakuten his job was to inter-connect systems which didn't know anything about each other. He is currently working on integrating Rakuten Group's e-commerce systems. We extensively experiment with all aspects of product at Viki. These experiments take the form of AB testing, cohort analysis and various customisations. We collect and analyse the data on how these experiments affect user behaviour and other metrics. We are always in a continuous product improvement cycle heavily influenced by these experiments and corresponding data. We have developed our own custom Experimentation Framework called Turing for this purpose. In this talk I will explain how we carry out these experiments at Viki. I will also talk about Turing, why and how we built it. 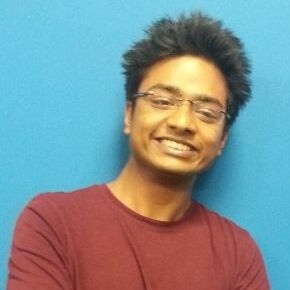 Ishan works for Viki as a software engineer on the Data team. He works on their Big Data Infrastructure, the real time data processing engine and an internal Experimentation Framework. 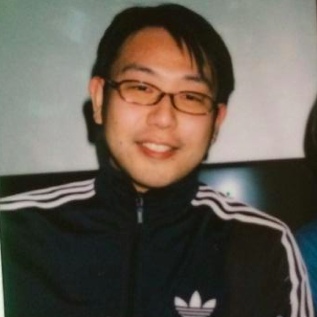 He graduated in Computer Science from National University of Singapore with a minor in Business from Stanford. 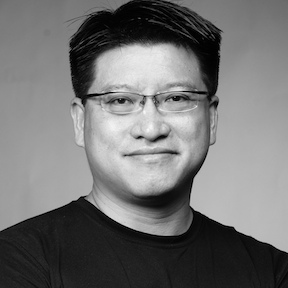 Prior to Viki, he developed sound and image processing systems for PayPal, and also worked on the realtime bidding infrastructure for RocketFuel. He has a keen interest in indoor localisation solutions and has developed one himself. In order to stay ahead of the technology curve, the financial industry's companies require the power, flexibility and scalability of the latest 24x7 enterprise technologies. Rakuten Card is one of the largest credit card companies in Japan which has recently renewed their web front-end system using Java EE. Among the myriad of available technologies, why did we choose WebLogic and Exadata managed by Oracle Enterprise Manager? How did we drive this huge project to completion in only six months utilizing only in-house development policies? What was the key of the success and the factors involved in launching and operating this mission critical service? This session unveils the results of an extraordinary improvement and how our selections were effective for our company's financial enterprise systems. 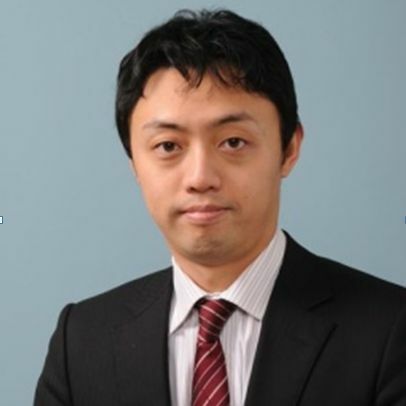 Hirofumi Iwasaki has been the technical manager of Rakuten financial systems since 2010. He has been a specialist of the high-load transactional enterprise systems for around a decade. He specializes in Java EE and .NET enterprise design, implementation and development. He has directed many big projects. In the past he directed and consulted many systems ranging from financial to manufacturing companies in Japan. 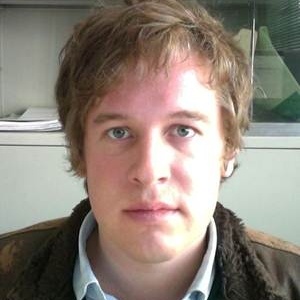 He is also a technical writer for some magazines and web sites on SOA, Java EE, .NET frameworks. He currently lives in Fukuoka, Japan. Rakuten Card is one of the largest credit card companies in Japan. We are working hard to deliver high quality services for our customers. To meet our customer expectation, we are always working to deliver more safety and agile services. We practice various approaches like CI, static code analyze, monitoring and deployment. In this session, I will talk about our architecture of service delivery. 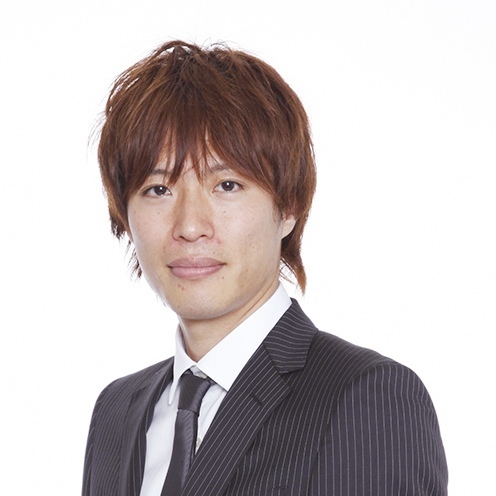 Hiroaki Nakada is an application developer for the Financial Services Department. Since joining Rakuten in 2009, he has developed and operated Rakuten Credit Card Systems. He specializes in Java EE and DevOps architecture, development and operation. We must develop our service quickly and reasonably to achieve customer satisfaction in Smart Device Application Market. To achieve this, we adapted a methodology to enhance the productivity and speed of product release.Smart device development is carried out with a small team of members. In each activity, firstly we have realize the division of product into individual modules.Each module is loosely-coupled to run development of various modules in parallel.Next is to assign developer to each module by choosing the appropriate member based on clarification of the functions, specifications in smart device application and reliability on the member. As a result, we could achieve more productivity while developing smart device application.I'd like to explain about our performance enhancement by doing a case study and analysis of our development team activity.Moreover I would like to explain the accuracy and speed achieved b using this approach in our smart device application development. 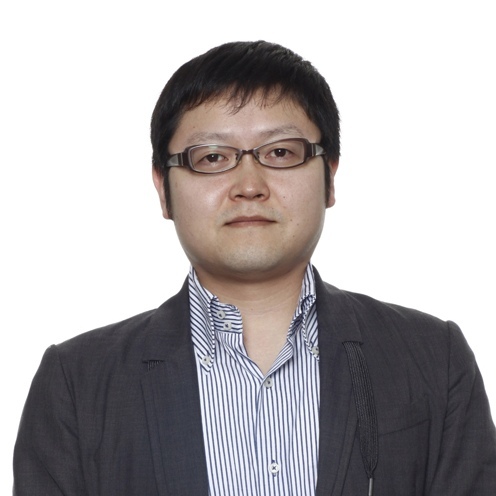 Yosuke Shimizu is an application developer for smart devices. Since joining Rakuten in 2009, he has excellent leadership abilities which have contributed to the creation of a special team of over 10 members for mobile service development. Additionally, he has been contributing not only in development but also in planning and operations of Rakuten Credit Card Mobile Service. Financial companies need Java EE to power their business today. Rakuten Card, one of the largest credit card companies in Japan, adopted Java EE 6 for its online systems rearchitecture. Learn why it chose Java EE, and hear about its experiences and lessons learned. This is the first time a large credit card company in Japan is sharing its story. How do you start such a big project? Why did it choose Java EE? How did it select the in-house development policies, educate itself, and develop the additional libraries? How did it launch within only six months? What is the key factor driving 24/7 critical financial systems successfully? How do you migrate to Java EE 7 in the future? This presentation answers these questions and any others you may have. 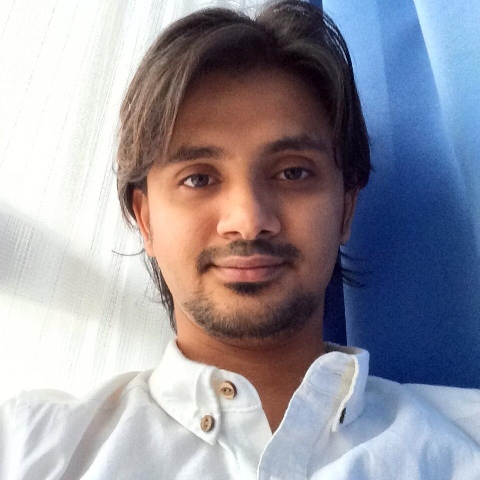 Arshal Ameen is the senior developer of Rakuten Credit Card member service systems. 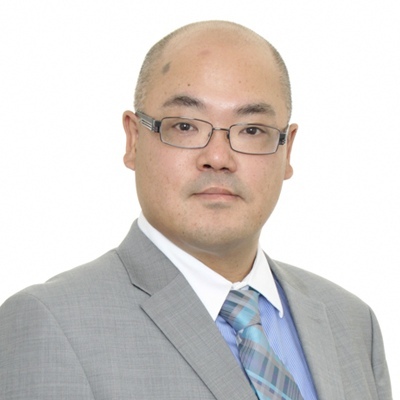 He is leading our development of JEE6 systems for Rakuten Card, Inc. As a development leader he maintains and directs defining and developing of software according to right standards. He speaks often at java user groups and is a prolific blogger. He is specialized in Java, .NET framework and app development for all smartphone platforms. He is a passionate poet and spends most of his free time trekking. This meditation practice and gentle yoga session will truly help you to experience this year's theme, “Sparkling Gold”—starting from within your own, unique inner network. Damion Mannings is a Level 1 Yogic Arts Instructor who is delighted to share a holistic space with guests at Rakuten's 2014 Technology Conference. The 20-minute sessions allow participants to have a "digital detox" and connect with body, breath and mind to experience more meaningful and mindful interactions throughout the day. Agile Yoga has a "come as you are" policy: dynamic stretches and breathing exercises are meant to rejuvenate--gym attire not required. Damion helped to launch Rakuten's Englishnization Project and currently supports Rakuten's Development Unit as an educational consultant. He is currently a graduate student at Oxford University.